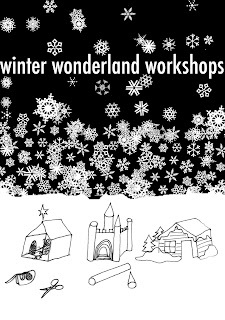 PLACE presents its Winter Wonderland Model-Making Family Workshops! Strictly limited places available on Saturday 5th, 12th or 19th December [5th and 12th December now fully booked] for primary school-age children to construct and bring home their self-designed Christmas Crib, Santa’s Grotto or Snow Palace. Materials will be provided. Workshops start at 10.30am and will last approx. 2 hours - children must be accompanied by a parent/guardian. Please wear old clothing or bring an apron if you have one - it might get messy! Places very limited. £4 per child (parent/guardian goes free). Where the streets are to blame?